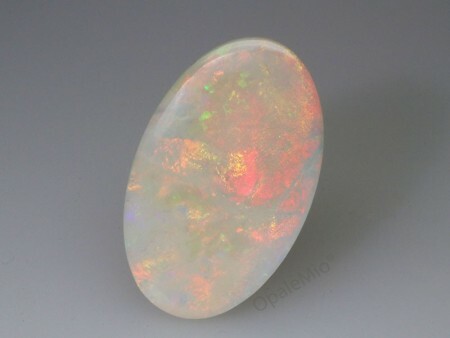 Very bright white opal with large range of beautiful colours. 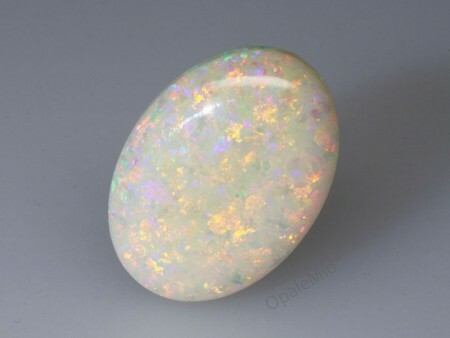 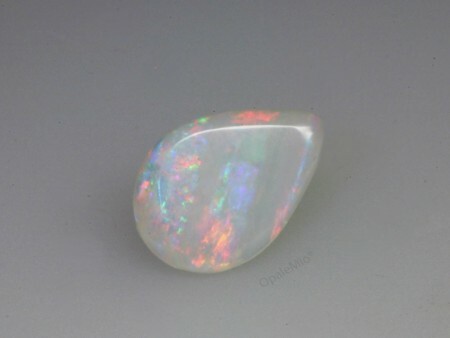 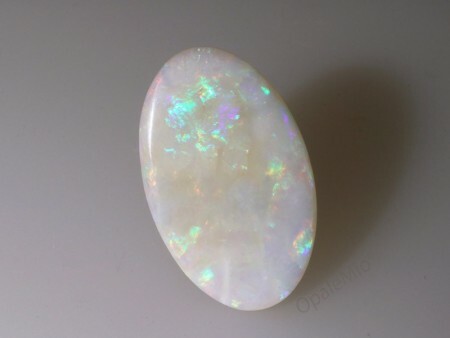 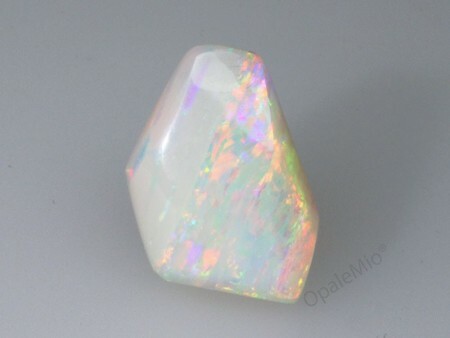 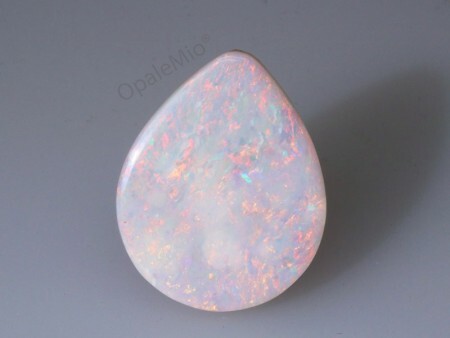 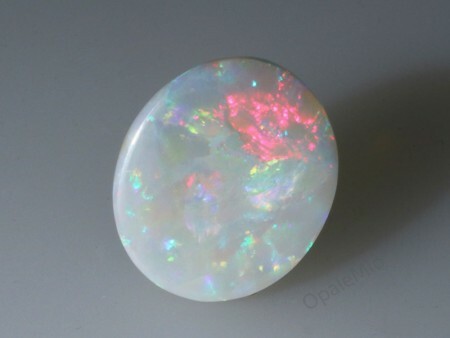 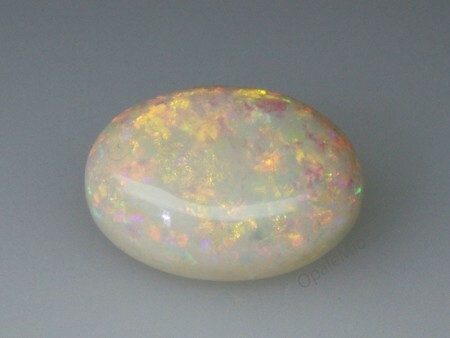 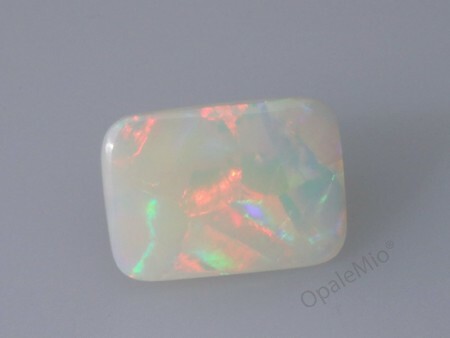 White Opal is characterised by an opaque milky body tone displaying very vivid and bright colors. 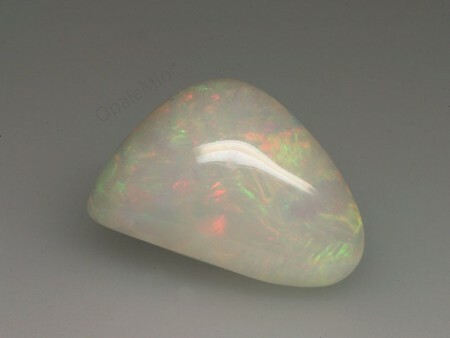 According to the Opal Body Tone Guide the white body tone is identified as N9. 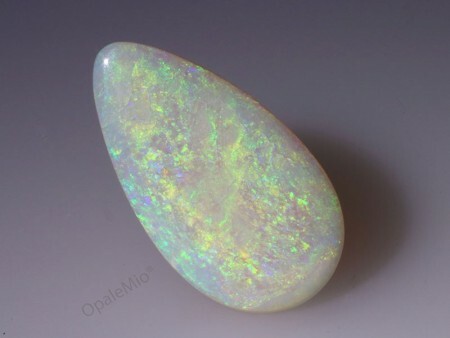 The Coober Pedy mines in South Australia are the main source of this precious opal, highly sought-after in Italy.